Built on the site of a former 19th century paper manufacture, the Hoxton Press development is a selection of beautiful one, two and three bedroom homes overlooking Shoreditch Park in the heart of London’s creative district. The vision for Developer Anthology was to create unique and contemporary apartments which reflected the areas reputation for creativity. The kitchen design was an important part of this vision. 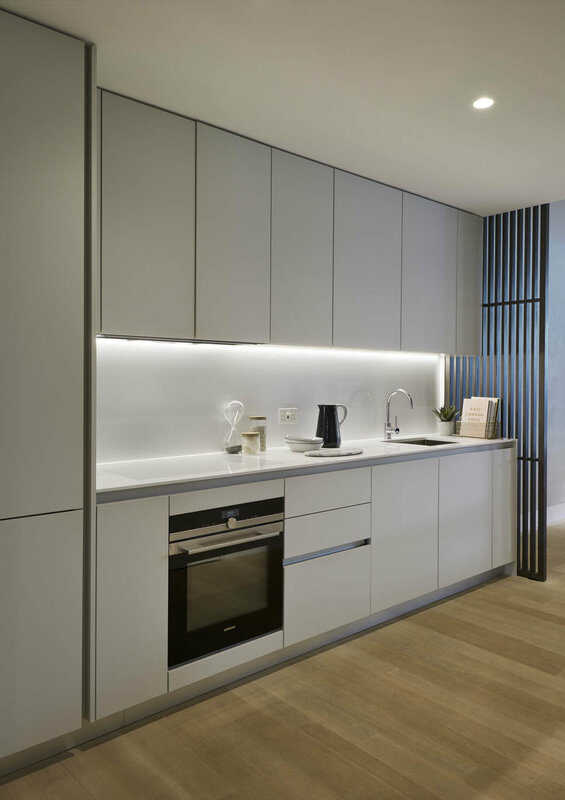 The final design is sleek and modern, providing a clean and comfortable living space and appealing to the ‘young-professional’ prospective residents in the area.